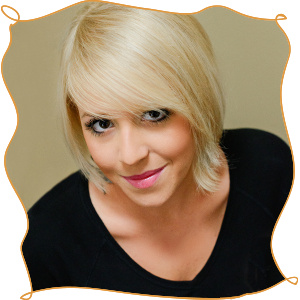 At Grace Green Beauty we’re like squirrels. We’re obsessed with acorns. They don’t do much for our skincare products but they sure help us spread the concept of grace. We’ve realized that such a tiny thing can, with a little loving, spread grace as it germinates and grows into a strong, majestic oak tree. As you know, oak trees aren’t just any old tree. They are tall and strong, providing, shade, lumber and truly sturdy limbs for some of the best tree houses a kid can build. They represent truth, stability, wholesomeness and nobility. And it’s really fun to jump in a pile of its leaves. So why are we nuts about acorns and oak trees? Because the process from germination to growth are the essential elements for how we at Grace Green Beauty spread grace throughout the world. Our companies commitment and standard display the respect we have for Mother Nature. But we want to do more to celebrate the planet and the creatures who inhabit it. So we have started a quiet revolution—one tree at a time. Children with participating schools, day care centers and church groups collect acorns wherever they can find them. We tell them to look for acorns free of worms, holes and fungus. Kids LOVE harvesting acorns! Next, they perform a “float test” by putting the acorns in a bucket of water and allowing them to settle. Any acorns that float or are mushy are considered “bad nuts”. The kids determine the best acorns and toss the others. After several months the children are eager to check on their trees! 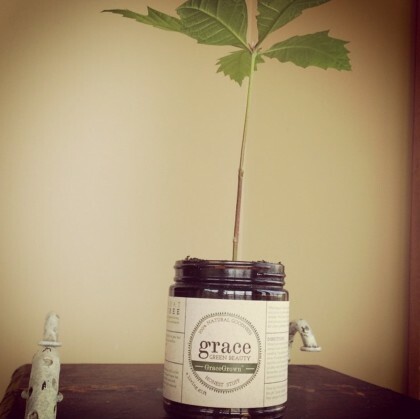 The time has come to plant their sprouted oat tree in one of Grace Green Beauty’s recycled and repurposed Grace jars provided by us through our recycle program. The final touch is the label. Each child proudly writes their name on the GraceGrown label and secures it to the jar. At that point, we partner with locally owned coffee shops, restaurants, and other unique spots around the community to gift them beautiful little GraceGrown sprouts for their tables. All of us at Grace Green Beauty know it’s far more than a gift. We are teaching the next generation to understand germination, recycling and giving back to our planet. They learn that this is indeed grace at its simplest form. This grace is a free gift and it spreads. Help us share the wonder of nature by spreading the word about GraceGrown. It’s a free program and we are happy to bring it to your group. 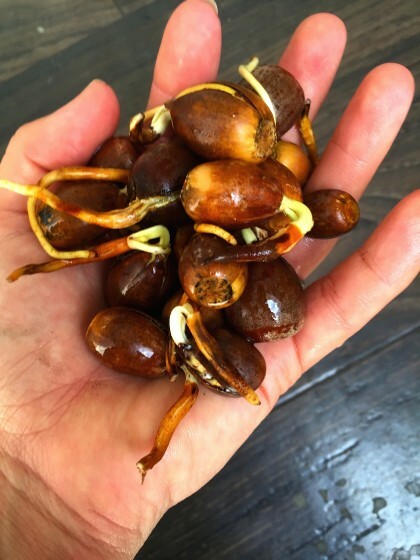 If you are now as nuts as we are about what a tiny acorn can do, shoot us a quick email. We will gladly send you more information about how you can be a part of GraceGrown, a living gift.